The municipality of Erzincan (144,545 inhabitants in 2012, 96,474 in the town proper; 16,221 ha) is located in north-eastern Turkey. The flag of Erzincan (photo) is blue with the municipality's emblem. "Türkiye Cumhuriyeti" means "Republic of Turkey"; "Belediyesi" means "Municipality". The emblem features a Seljuk, double-headed eagle, which appears to be the symbol of the town (photo). The former flag of Erzincan (photo), in use from 2012 to 2015, was blue with the municipality's emblem, which features the Erzincan Clock Tower. The tower was constructed to replace a previous clock tower that fell down in an earthquake in 1939. The clock within the current tower is atomic, and keeps perfect time thanks to signals received from satellites. An older flag of Erzincan (photo), in use around 2012, was blue with the former municipality's emblem, which was similar to the present-day's emblem, except the date. An even older flag of Erzincan ()photo), in use before 2012, was or white the municipality's emblem, in black, surmounted by a writing in a semi-circular pattern. 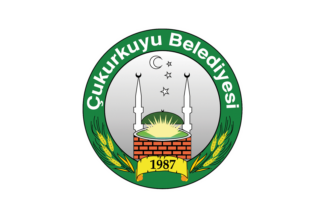 "Belediye Başkanlığı" means "Municipality Presidency". 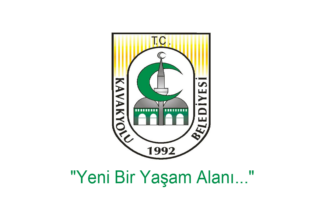 The flag of Çağlayan (photo) is white with the municipality's emblem. "Belediyesi" means "Municipality". 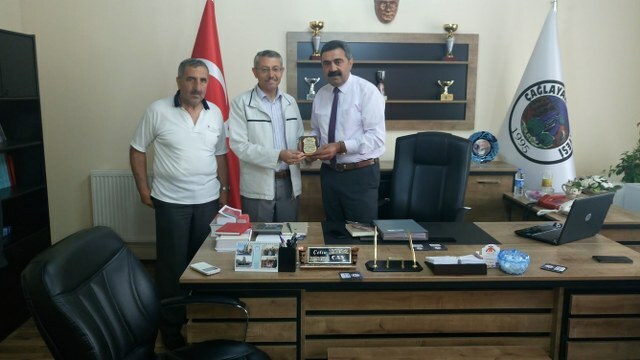 The flag of Çukurkuyu (photo) is white with the municipality's emblem. "Belediyesi" means "Municipality". The flag of Demirkent is white with the municipality's emblem. "Belediyesi" means "Municipality". 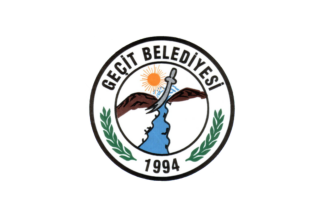 The flag of Geçit (photo) is white with the municipality's emblem. "Belediyesi" means "Municipality". The flag of Kavakyolu (photo, photo) is white with the municipality's emblem. "Belediyesi" means "Municipality". The flag of Ulalar (photo, photo) is white with the municipality's emblem. "Belediyesi" means "Municipality". The flag of Yalnızbağ (photo) is white with the municipality's emblem. 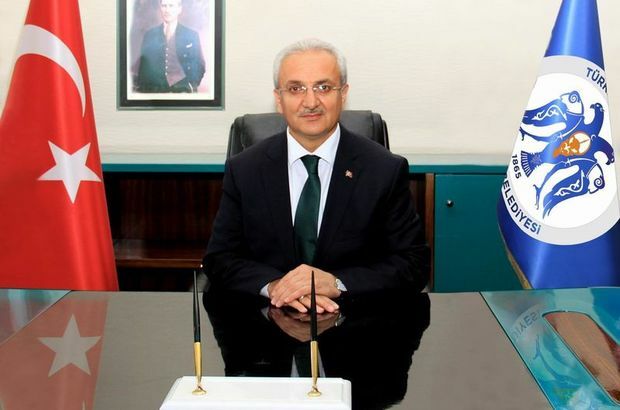 "Belediye Başkanlığı" means "Municipality Presidency". Erzincan University (website) was established by Law No. 5,467, passed on 1 March 2006, as the merger of institutes formerly depending on Atatürk University. The oldest of these bodies were the Erzincan Vocational School and the Erzincan School of Education, established in 1976. The university is composed of 9 Faculties, 5 Schools, A11 Vocational Schools and 3 Graduate Schools. The university's flag (photo, photo, photo, photo, photo) is white with the university's emblem. The emblem is shaped like a Seljuk double-headed eagle. On the top, two stylized battering rams represent the Ak Koyonlu [White Sheep Turkomans, 1378-1501] dynasty. The water drop represents river Euphrates. The honeycomb forms a bunch of grapes. The circle and the top edge of the double-headed eagle section of the emblem, flipped up from the top down, symbolize letter "B" of the alphabet of Göktürk (Blue Turks). At the same time the icon means “eb”, “a house” / “a residence”. The circular shape and the hexagonal structure of the emblem means that the university is moving from local vision to the world. The ultramarine blue color reflects the impact of the academic institution.